Exceptional growth beyond expectations means that SME premium house builder, Troy Homes is moving to its third office despite still being within its 18 months of operation since formation. Headed by CEO, Richard Werth and Director Adrian Bohr, the company has just appointed a new technical manager and is shortly to add to its land acquisition and commercial teams as well. In total the new office will house 15 staff and meeting rooms. The office move comes as Troy Homes celebrates the reservation ‘off plan’ of 45 per cent of its homes at its first development of 18 luxurious homes at Laburnum Gardens in Talbot Street, Hitchin. Strong interest is also being shown in the company’s second development, Corn Barn Mews in Beauchamp Roding. The development is located in beautiful rural Essex while still being near to commuter transport links. At Troy Homes good design dovetails with thoughtful specification to build a better home. It takes a special skill to create a family house where customers will really enjoy living. The new office will give the premium quality house builder the base to continue to grow. Troy Homes has also launched its new website to cater for its increasing number of developments. 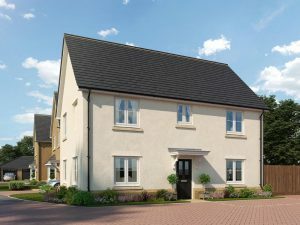 Visit www.troyhomes.co.uk to see the great sites in build and coming soon.